Sensational Ideas for Working with Children with Autism (Part 1) – Watch video to see how I use the therapy ball during my session to provide proprioceptive and vestibular input. 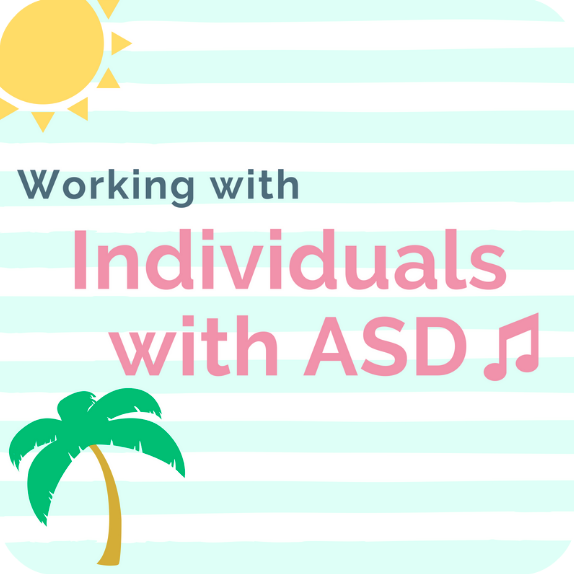 Sensational Ideas for Working with Children with Autism (Part 2) – Watch video to see how I incorporate the book “Ain’t Gonna Paint No More” and paint brushes into music therapy to provide tactile stimulation. Sensational Ideas for Working with Children with Autism (Part 3) – See how I use the gathering drum to provide vestibular input – this video might make you dizzy! Sensational Ideas for Working with Children with Autism (Part 4) – This video shows how I use the trampoline to provide proprioceptive input to children with autism during my sessions. Presume Competence. Always. – Reflections on a powerful letter penned by a teen with ASD. To Make Eye Contact or To Not Make Eye Contact – This is one of my favorite topics when it comes to working with individuals on the autism spectrum. 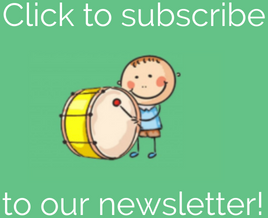 Where to Find the Most Current Research on ASD & Music Therapy – I love staying up to date on the latest music therapy and autism research. Click to learn my go-to resource in this area. Music, Joint Attention & Autism – Read about my master’s research study and my findings as they relate to music and children with autism. Connecting Music Therapy & Autism – Read the article I wrote for specialneeds.com for Autism Awareness Month. I incorporated some of the research cited in my master’s thesis, and provided a description of some music therapy goals and interventions for children with autism. Temple Grandin Lecture: Different Kinds of Minds – Read about my takeaways from the lecture I attended given by Dr. Temple Grandin.